All you have to do is mow it high and let it lie! If you want to do what’s best for your lawn, save money, and reduce waste then grasscycling is your best choice! Grasscycling means leaving your grass clippings on your lawn so that valuable nutrients are returned to the soil. 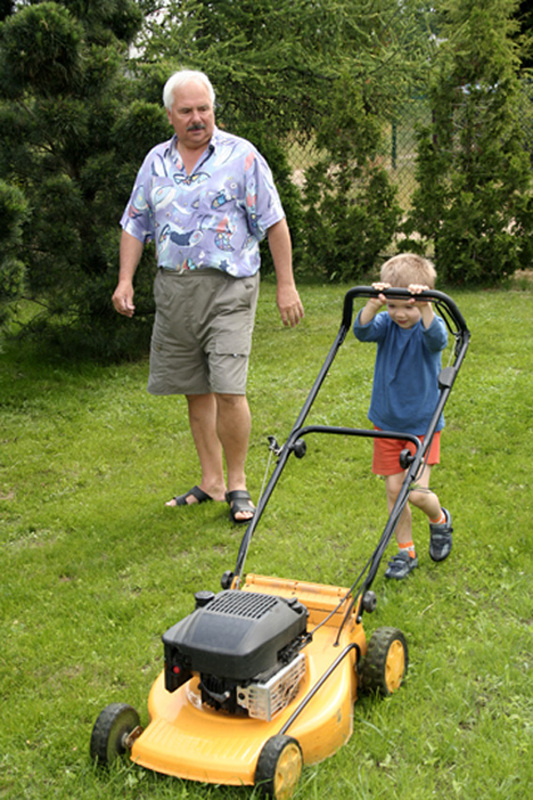 When grasscycling, allow the grass to grow at least 3 inches then cut off one inch. This simple action accomplishes a very important reaction; the longer the grass, the deeper the root system and a deep root system will help your lawn withstand drought, and develop an increased resistance to weeds and insects. Grasscycling is a great natural fertilizer. Because grass clippings are 85-90% water, they decay quickly, returning valuable nutrients back into the soil. This naturally fertilizes and strengthens your lawn making the turf more resistant to disease, resulting in a healthier lawn. One bag of clippings equal 100 grams of fertilizer rich in phosphorus, nitrogen and potassium. Leaving your clippings on your lawn allows all those nutrients to return back to the turf where they will do the most good. Grasscycling does NOT cause thatch. As a matter of fact, grass clippings contain sugars that stimulate microbes which facilitate the decomposition of thatch. Thatch is a thick layer of stems and other dried materials that accumulates just above the soils surface. This layer of material prevents water and nutrients from soaking into the soil, which in turn prevents deep root growth, which is necessary for a healthy lawn. Keep your clippings short, leave them on your lawn, and water your lawn properly, and you shouldn’t have a problem with thatch. Always aerate your lawn in the spring and fall. This allows oxygen to penetrate the soil, and will restore proper drainage. 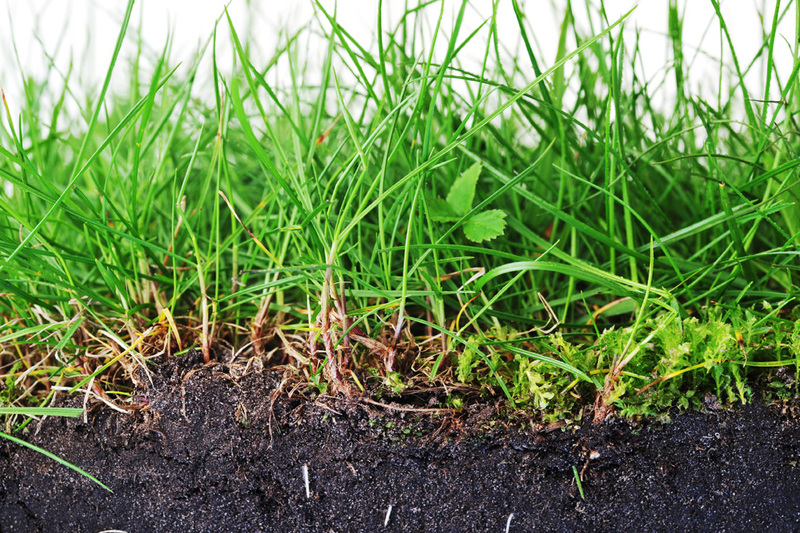 Compacted soil stresses and kills the roots of your lawn grasses, allowing weeds to move in. In fact, most weed infestations can be attributed to soil compaction, improper mowing, and low nutrient levels in your soil. Just laid sod? Try to build up the topsoil under laid sod by aerating three times a year and then top dress with a thin layer of screened compost. Planting Seed? Always use fresh seed. Store your seed in a cool dry place and always use it within nine months. You don’t have to have a mulching mower to grasscycle, you can take off the bag or buy a mulching blade. In the fall, run over leaves with your mower to shred them into fine particles. Chopped leaves provide an excellent source of carbon for your lawn. Make sure you have a sharp mower blade. A dull blade can shred the tops of your grass, causing it to turn brown. By keeping your blade sharp you should get a “clean” cut and greener grass. The 3-inch Rule: Let your grass grow to 3 inches and cut one inch off the top. Short grass does not respond well to heat. It will burn. Longer grass will hold more moisture and is tall enough to shade out weeds. Morning Watering: Experts recommend watering early in the morning. Evening watering can expose your grass to fungus or disease. Water long enough to allow a deep soaking to the roots (wet the soil to a depth of six inches. Avoid daily, light watering – they can do more harm than good. Plant the right type of grass: Three types of grass are best suited to Southern Ontario; Perennial Ryegrass, Fine Fescue, and Kentucky Bluegrass. Spread seed every year, overseeding will result in a dense turf that can choke out weeds. The best times to overseed are between May 15 – June 15 and between August 15 – October 1. Use an organic fertilizer: Bone meal or blood meal are low-release, organic fertilizers, they won’t burn your lawn. Fertilize in the late fall, and never in the spring. Spring fertilizing leads to top growth – at a time when root growth is most important. Compost … Spread it around: Grass utilizes the nutrients found in the soil as its food supply, but after a few years, the grass may have “used up” many of the most valuable nutrients. 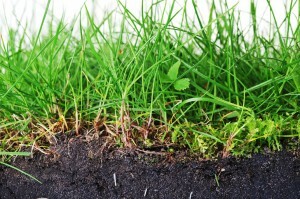 Applying compost to your lawn in the spring helps to supply the soil with new organic matter for your grass to feed on.